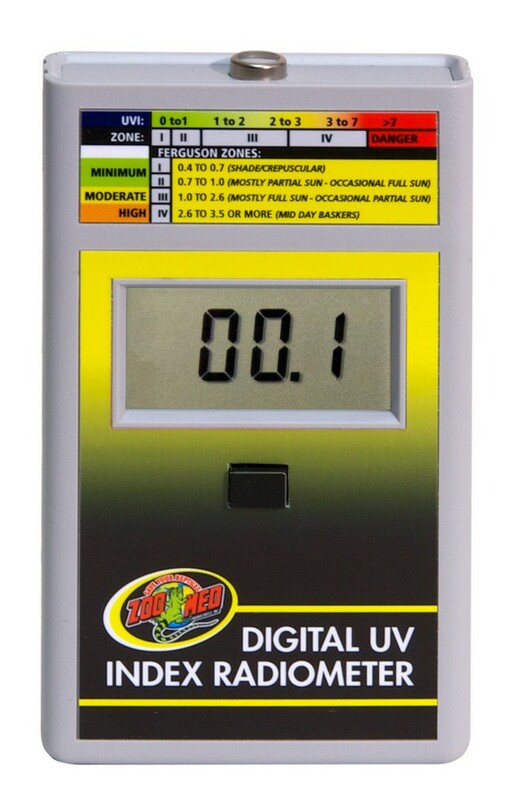 Digital UV Index Radiometer | Zoo Med Laboratories, Inc.
Use Zoo Med’s New Digital UV Index Radiometer to determine if UVB lamps are producing safe and effective levels of UVB. This meter’s response curve is weighted to match the Vitamin D action spectrum to help ensure that pet reptiles are receiving proper and adequate exposure to UVB to help prevent and reverse Metabolic Bone Disease. This meter is easy to use and includes a quick reference scale to help determine the correct levels of UVB for various reptile species. Meter’s response curve is weighted to match the Vitamin D action spectrum. In this video, we spotlight the benefits of using our Digital UV Index Radiometer.